Could Dry Eyes Be Ruining Your Visual Health? Suffering from dry eyes could be ruining your visual health, so learn about why and what can be done to fix the situation before it gets out of your line of vision! 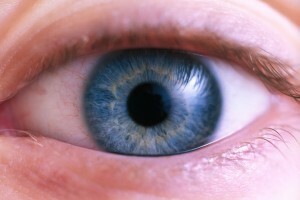 As far as the eyes can see, having dry eyes is problematic for thousands across the globe. Everything from seasonal changes to allergies and poor health and medications can all contribute to having a loss of natural tears. Tears are a natural lubricant that actually enhances vision. Going from day to day without tears to coat your eyes leads to a world of pain and suffering that can get worse as time goes on. This is why one needs to know how to treat their eyes in various ways, from over the counter eye drops to even visiting an Ophthalmologist for a comprehensive examination that could tell the severity of your dry eye symptoms. Scratchiness and sensitivity to light, along with the other symptoms mentioned in the above paragraph could clue a person in to maybe wanting to be checked up for this common problem. During the examination, the eye doctor will use what is called a slit lamp to view the tear film as you blink your eyes. This can tell the doctor wonders about the severity of dryness as well as something called the Schirmer’s Test. The Schirmer’s Test is a painless procedure in which strips of measured paper are inserted into the bottom lid of the eyes. The patient’s eyes are numbed prior to this procedure with a topical numbing eye drop. Without feeling a thing, the strips will measure how much natural tears come from your eyes. The diagnosis of dry eye comes from the doctor. For a severe diagnosis of dry eye, there are prescribed medications such as Restasis or even a simple in office surgical procedure that inserts plugs into the punctum of the eye(s) so that they produce more tears. For less severe diagnosis of dry eye, over the counter eye drops are commonly given to treat the condition from Soothe to Systane and more common eye drops. Consult with your doctor. Previous post: How To Become An Optician And Make Money In Optician Apprenticeship! Next post: What Is A Great Price For Good Optical Eyewear?